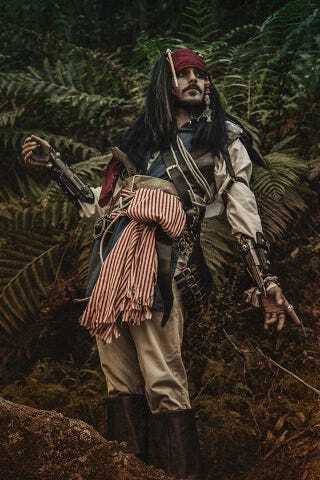 Assassin&#39;s Creed meets Jack Sparrow? Assassin's Creed meets Jack Sparrow? Savvy. Cosplayer is Ace Pendragon, while Vivien Kwong took the photo.